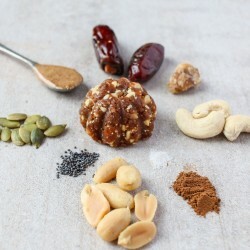 The founders originally started creating energy balls as a nutrition booster for their kids, using knowledge of healthy eating and whole foods that was handed down to them from their grandparents. 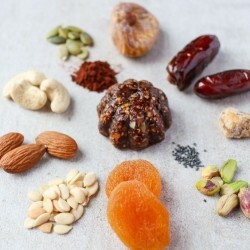 It soon struck them that the energy balls could be a great healthier alternative to commonly available snacks - and so Go Nutz was born, with their core purpose being to encourage mindful eating. 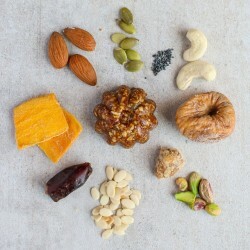 Go Nutz craft their energy balls using premium, raw, natural ingredients such as nuts, seeds and fruits. 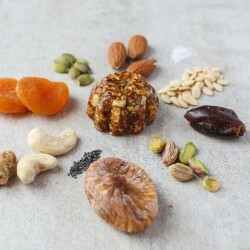 The result is a healthy snack which is vegan and refined sugar free, full of energy and of course tastes great.